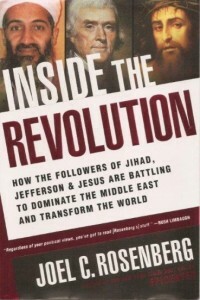 I recently read the book by Joel C. Rosenberg, Inside the Revolution. (It has to be good because the radio host, Rush Limbaugh, gives his stamp of approval!) 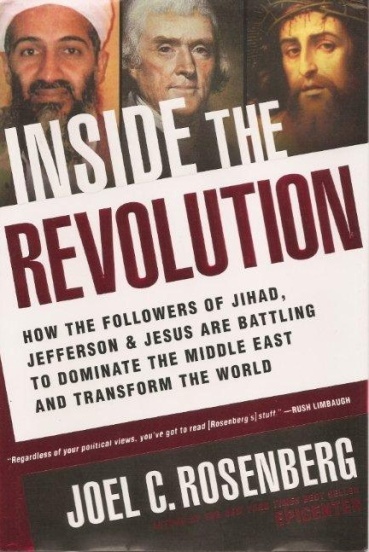 The sub-title is “How the followers of Jihad, Jefferson and Jesus are battling to dominate the Middle East and transform the world.” Rosenberg explains why the minority radicals believe that violence is the only way to win, and why the reformers, or followers of Jefferson, are a growing force in the Middle East. He paints a picture of hope as he talks about the revivalists, or followers of Jesus, and the great gains the gospel is making in the Middle East. He believes that more Muslims are coming to Christ today than at any other period of history. Many of these conversions are the result of direct revelations by Jesus Himself, although God’s “normal” way is still through the preaching of the gospel by His followers. It was with fear and trembling that I, along with a host of others, said good-bye to Job and Mabel Vargas as they left Santa Cruz, Bolivia, en route to Northern India. The year was 1995, and they were the first official missionaries being sent by the Assemblies of God of Bolivia to work in a nation with a high concentration of Muslims (Yes, there are more than 150 million Muslims living in North India). The fear and trembling was caused by not knowing whether or not the monthly support would come in to keep them properly fed. The good news is that after three years they returned, and both had gained weight…Job because he ate well, and Mabel because she was seven months pregnant! This is not an isolated incident, as we are seeing more and more Latin Americans leaving their own countries and going forth to reach those who belong to the world’s fastest growing religion. It seems that our brothers and sisters to the South do not have some of the same barriers and prejudices against them that we North Americans have when desiring to go to a Muslim nation. 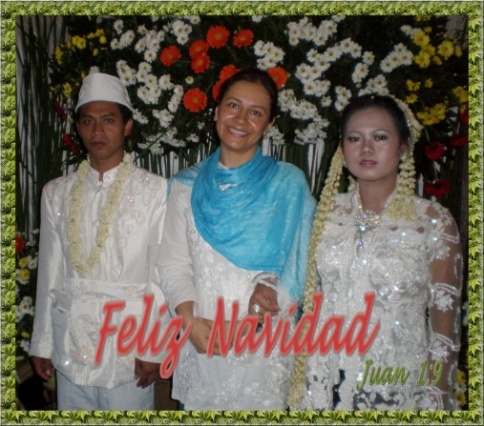 They also have the advantage of some commonalities in language and culture with the Muslims that we do not have. Many Arabic and Spanish words are the same or similar, going back to the time of the wars in Spain between the Muslims and the indigenous peoples. I am told that a common word in Spanish, “Ojalá” literally means, “If Allah wills”. I believe this is where the Latin American Evangelicals, (and why not say Pentecostals? ), have an inside track. I can tell you of ISUM graduates that are now working in countries with majority, or large Muslim populations. I receive newsletters from some of them that indicate imminent dangers and difficult situations, but they continue to be faithful to the call. Who knows how many more would be willing to go if they had someone to encourage them and present them with the challenges and opportunities of cross-cultural missions? God is calling Latin Americans to go, and I believe that all of us associated with ACLAME are in influential positions and can be used of God to help facilitate the call they are receiving. Many of you are already involved in the missions program of your respective national churches, are teaching a missions class in your local Bible school, and/or preaching missions as you travel from church to church. 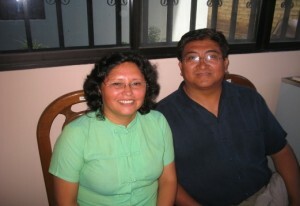 Perhaps the question isn’t so much, “How can we explain what is happening in the Middle East today?” but “How can we as missionary educators cooperate with what God is doing in the Middle East?” Can you imagine the potential there would be with an army of Spirit-filled Latin American missionaries invading the Middle East and other Muslim nations of the world? Many have felt the call, but have run into roadblocks, which of course include the finances needed to send them and sustain them on the field. Regardless of our main area of ministry, we can all be involved in the promotion of missions. We can help facilitate the call by helping the national churches accomplish their strategic role in God’s plan of salvation for all mankind. Together we can help bring to fruition the spiritual revolution that our world desperately needs. NEXT POST Next post: KaBoom! Goes the Classroom: Should the Internet Get Rid of You? Thanks Jim, for this timely piece. There can be no doubt that Latin Americans are strategically placed and equipped to do effective outreach in Muslim nations. As I have met US pastors who are increasingly focusing their missions programs on reaching the Muslim world, I have pointed out to them the very thing you highlight here – that investing in leadership training in Latin America is, to a significant degree, investing in effective missionary ministries to the Muslim world. May God continue to bless you in your leadership of ISUM. Un abrazo.